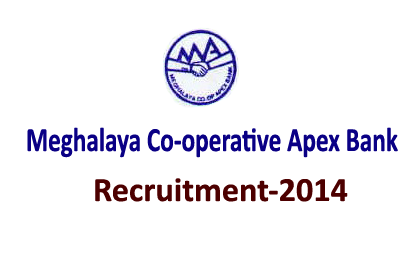 Meghalaya Co-operative Apex Bank has announced recruitment for the post of general manager. Eligible candidates can apply. More details regarding this recruitment are mentioned below. Cooperative Business Management or equivalent qualification. Selection Process: Candidates will be selected on the basis of the experience, skills and performance in the personal interview. Candidates should have practical experience in the following fields will be preferred. And may also browse the website of the Cooperation Department of the Govt. of Meghalaya and the Meghalaya Co-operative Apex Bank Ltd.